Bank of America has chosen the person-to-person (P2P) Zelle service within its mobile banking app as part of its digital drive. Zelle will let clients send, receive and request money, allowing them to use the existing contacts on their mobile device to transfer money to (or request money from) “almost anyone within minutes, regardless of where they bank”. The bank’s clients will also be first among Zelle users to be able to split expenses among multiple contacts or friends – such as a group dinner check (bill) – and they can also add a personal note along with the payment transfer or request. Michelle Moore, head of digital banking at Bank of America, says it was “one of the first banks to offer mobile banking a decade ago” and says this year will see a “strong focus on payments and intelligent solutions that will deliver personalised experiences clients never imagined were possible”. According to the bank, Zelle will roll out among all the partner banks later this year. The bank will continue to add mobile “enhancements” in 2017, including the option to add cards to the digital wallet on customers’ mobile devices directly from the mobile banking app and the option to add cards to services such as Visa Checkout and MasterPass. Bank of America says it is also celebrating its ten-year milestone of mobile banking, which debuted in March 2007. Today, mobile is the most used channel, with nearly 22 million active mobile users and more than 3.7 billion logins per year, according to the bank. Last year was interesting for Bank of America. It unveiled its new artificial intelligence (AI) chatbot to help customers make decisions on their finances. Called Erica, a nod to the name America, it will be available inside the bank’s mobile app this year. Customers can do the usual AI stuff – chat via text or voice – and it’s all 24/7. It teamed with Merrill Lynch, HSBC and the Infocomm Development Authority of Singapore (IDA) to develop a blockchain prototype for trade finance innovation. However, as part of its stated digital intentions, the bank is shrinking its consumer banking division by 8,000 people. Who will win the battle for millennials – Zelle or Venmo? The recent performance of Zelle Network, the peer-to-peer (P2P) payments platform with the funny name, is no laughing matter for competing P2P providers. P2P payments are proving a big hit with younger consumers. IBM says it has launched an “industry first” solution to support the full lifecycle of peer-to-peer (P2P) transactions, from the back office of financial institutions to the mobile device. 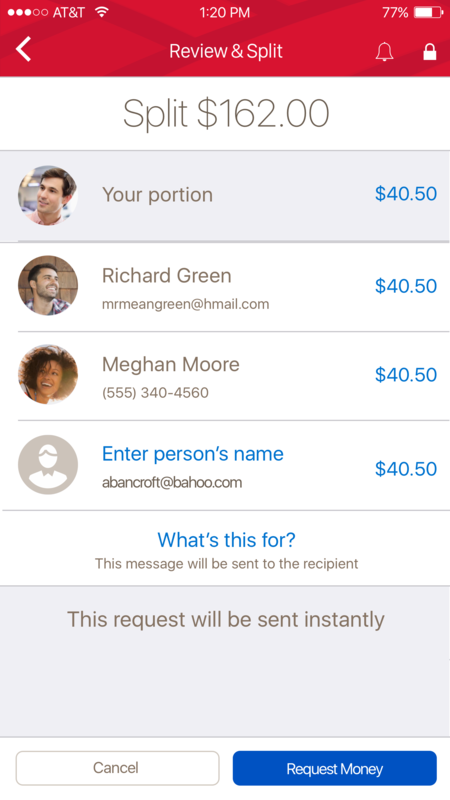 Venmo is planning to introduce a physical debit card to supplement its payments app. More banks and credit unions have joined Zelle Network, a new peer-to-peer payments platform in the US.